The spring is knocking on the door and therefore here in Bag Vibes we are thinking to lighten up our wardrobe again. We are tired of wearing constantly dark colours and as the sun starts to shine, it inspired us to write this article. I am not saying you shouldn’t be wearing light colours during the winter time, but the truth is, when it is raining all the time (spending the winter in England – so you can imagine), I don’t feel like wearing them. But now, season change and I am ready to find what is new in the shops. I think it is fair to say, that beige bag is a must for a girl? You can have countless of different colors bags – black, brown, red, pink, gold or any other but at some point, you will need the beige one, or should I rather say “neutral” color together give you more flexibility? So I found for you the 3 best beige bags for this season. 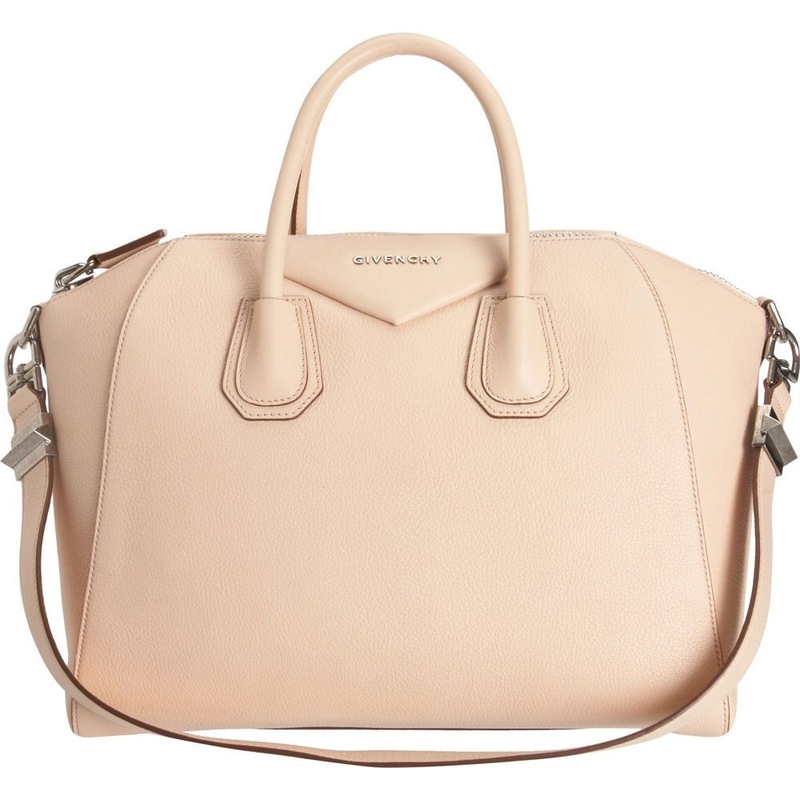 I absolutely love Antigona, it is so classic Givenchy especially the one with the studs, but now I have a need to share with you my new little obsession Shark Medium size shoulder bag with studs all over the edges. 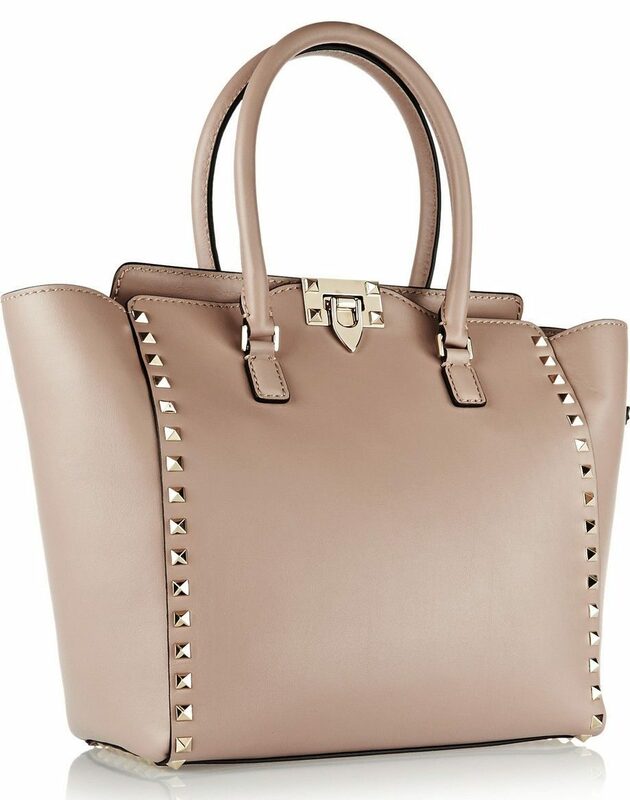 Ok Rockstuds in Valentino are no news to anyone, but I just love the how the studs can transform a classic tote into something more interesting and a give it a bit of an edge. 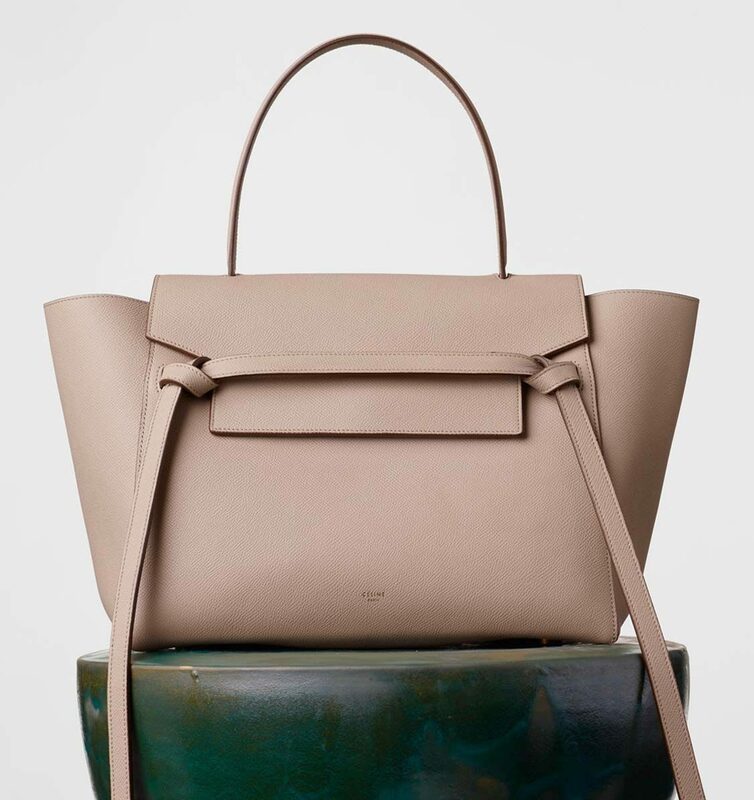 Celine keeps up with its new Belt handbag from super soft calfskin. You can choose from many different colors but I think the cream one is the winner for now. What do you think isn’t it fab? Do you have your own favorites? We are happy to hear from you what are your best beige bags that makes you excited.